Are you researching possibly doing business with Devilnight from Jiangsu China who sells Dress? If so, you may want to read the below review of the experience of one buyer and their recommendation to consider when dealing with this company. 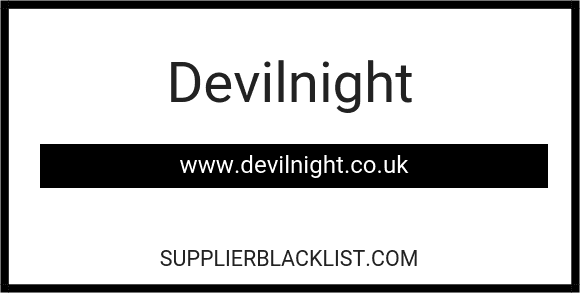 You can also find more searching options to learn more about Devilnight on Supplier Blacklist and across the web. Ordered a cape, custom made dress and petticoat from Devilnight.co.uk which is a worldwide online shop. The site is on UK address, but where the money goes seems to be China. I’m from Estonia. Payed for it via bank transfer, because PayPal and Western Union refused to work when tried to pay. So they offered bank transfer as a solution. It seemed odd to me that I needed to make the bank transfer to a persons account, not on a company’s account. But I really wanted those produces and I had ordered from there once before. 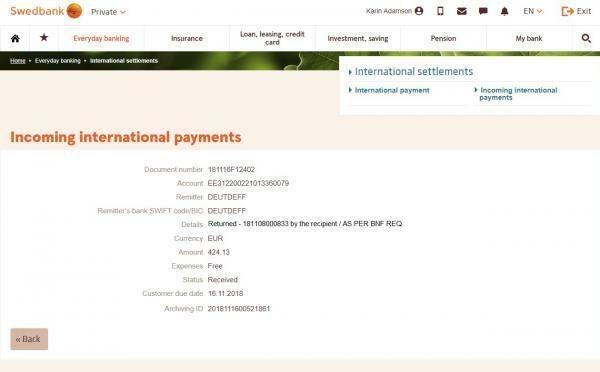 After some time the transferred money came back, but 98€ less than originally was paid. At first seller said they don’t know nothing, after mailing back and worth, it came out that the money was sent back by their bank. After more mailing they admit, the bank contacted them and notified them that the money will be sent back, because the money comes from foreign country. No one notified me, they tried to deny a long time that they knew anything about the money. 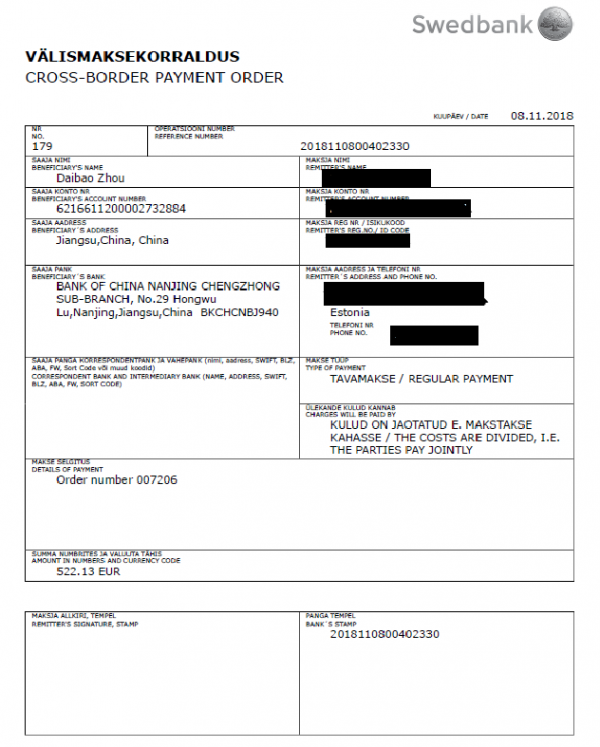 What kind of bank does not accept foreign country payments? I contacted my bank, made an official request that my bank would investigate deeper than I could – answer was the person who the money was transferred received it (unfortunately not able to upload the banks official answer, it’s in Estonian). They have been stalling every step of the way, I have tried to get my money back, tried to come a compromise with them, but nothing has worked. During more than 3 months there hasn’t been a solution, so in the end I had enough. I ordered the products 30.10.2018, paid for them 8.11.2018. The money was returned 16.11.2018. And after that it all began, the e-mailing back and forth, the investigating why I got less back and so on. At this point I probably won’t get the money back. But maybe it helps others when thinking of ordering on that site. Do not work with Devilnight.co.uk or be very cautious when dealing with them. When PayPal or WesternUnion don’t work, do not order. Need More Info on Devilnight? 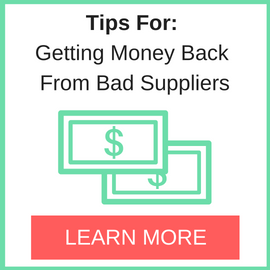 If you need more information, you can click the below links to search for more submissions about Devilnight on Supplier Blacklist as well as go to the search results page on Google for more reviews online about this company. 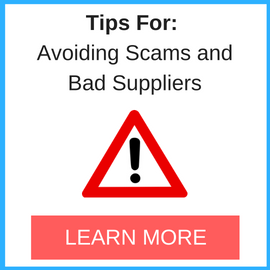 Perform a Supplier Blacklist search for more reviews on Devilnight. Search Google for Devilnight Reviews.